← Moscow Russia: The Newest – Already Old Metro Station! 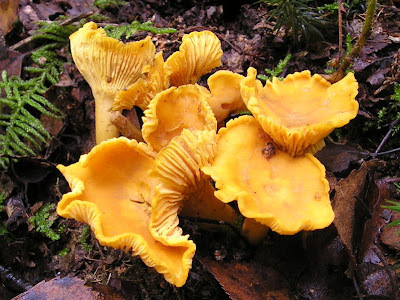 * Chanterelles – wild or farm raised! Rinse Mushrooms (some people soak in a very mild salty solution of water over night) to get all bugs and debris out. Drain the mushrooms before use so that there is no liquid left and let sit to drain another 5 minutes. Re – drain mushrooms again. Fry in a skillet at medium temperature with a bit of butter till they acquire a slight golden brown tint. Then add sour cream and simmer for 5-7 minutes on a medium-slow heat, mixing it all the time. This is just too simple for how wonderfully delicious it is.